Performance means an exhibition, public showing, presentation, display, exposition, fair, animal act, circus ride, petting zoo, carnival, parade, race, or other similar undertaking in which animals are required to perform tricks, give rides, or participate as accompaniments for entertainment, amusement, or benefit of a live audience. The measure was first sponsored by State Senator Linda Holmes and then signed into law by Illinois Governor Bruce Rauner. Effective January 1, 2018, the bill states, “Performance means an exhibition, public showing, presentation, display, exposition, fair, animal act, circus ride, petting zoo, carnival, parade, race, or other similar undertaking in which animals are required to perform tricks, give rides, or participate as accompaniments for entertainment, amusement, or benefit of a live audience.” Zoos are not affected. This is big news not only for Illinois, but for the many elephants in other states who still suffer for entertainment. These sensitive and intelligent animals are still being jammed into trucks and shipped like unfeeling cargo from town to town by travelling circuses that force them to perform grotesque and unnatural behaviors in front of uninformed crowds of people. 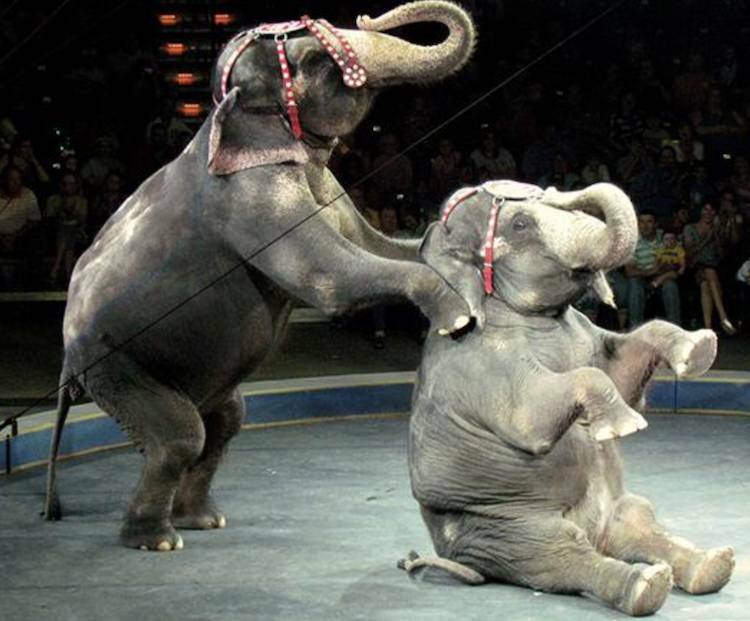 Now that Illinois no longer welcomes such cruelty sold as “entertainment,” we are hoping New York Governor Cuomo will be convinced to sign the “Elephant Protection Act” that sits on his desk after passing New York's Senate and Assembly. In Defense of Animals supporters spoke up and called on Illinois Governor Bruce Rauner to take action for elephants, and he listened. Along with New York, other states will be considering bills to stop elephant exploitation and abuse, so be sure to follow all our updates.